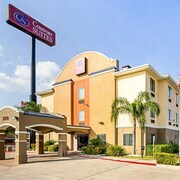 Situated in McAllen, this hotel is steps from McAllen Performing Arts Center and Palms Crossing. McAllen Convention Center and McAllen Botanical Gardens (McAllen Nature Center) are also within 1 mi (2 km). 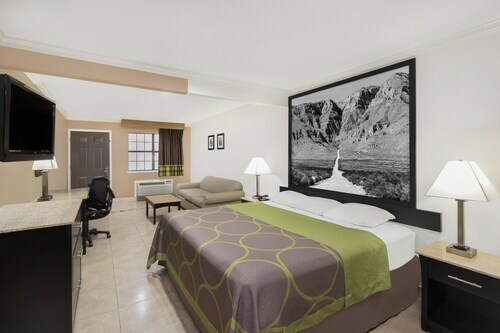 Situated in McAllen, this hotel is within 1 mi (2 km) of McAllen Performing Arts Center and McAllen Convention Center. La Plaza Mall is 2.5 mi (4.1 km) away. 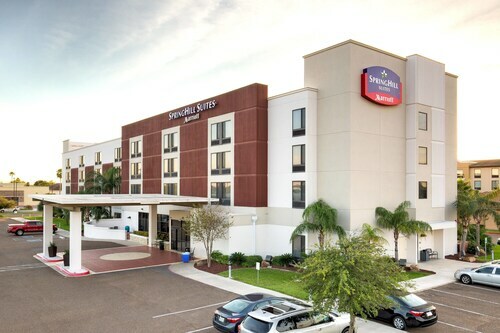 This family-friendly McAllen hotel is located near the airport, within 1 mi (2 km) of Rio Grande Regional Hospital and La Plaza Mall. McAllen Convention Center is 3 mi (4.9 km) away. 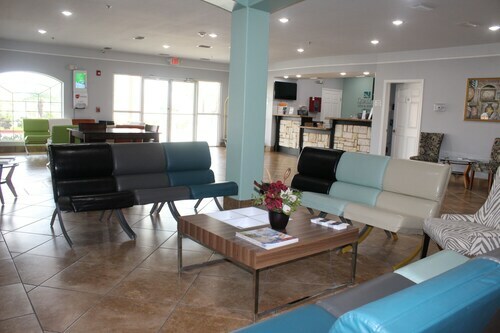 Situated in Mission, this hotel is 1.7 mi (2.7 km) from Mission Event Center and 2.6 mi (4.2 km) from Shary Municipal Golf Course. McAllen Convention Center and National Butterfly Center are also within 6 mi (10 km). 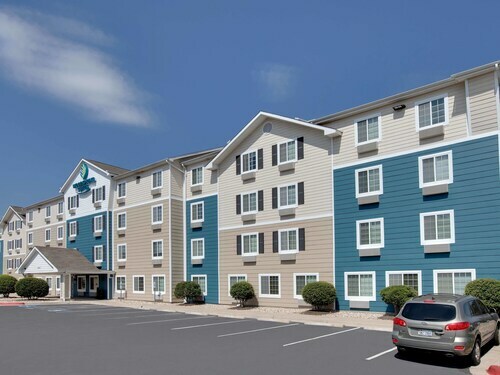 Situated in a rural location, this motel is within 3 mi (5 km) of Valley Nature Center, Frontera Audubon Society, and Knapp Medical Center. Tierra Santa Golf Club and Estero Llano Grande State Park are also within 9 mi (15 km). 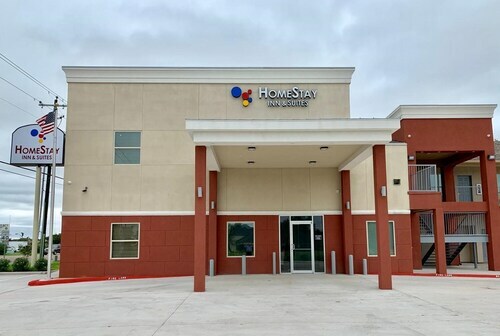 Situated in Weslaco, this motel is within 3 mi (5 km) of Knapp Medical Center, Valley Nature Center, and Frontera Audubon Society. Estero Llano Grande State Park and Tierra Santa Golf Club are also within 9 mi (15 km). 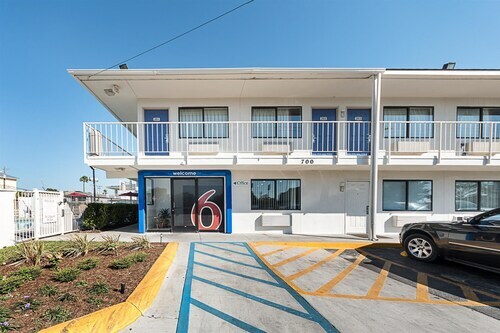 Situated near the airport, this motel is 1.1 mi (1.8 km) from Basilica of Our Lady of San Juan del Valle and within 3 mi (5 km) of Smitty's Juke Box Museum and Pharr Convention Center. La Plaza Mall and Fireman's Park are also within 6 mi (10 km). 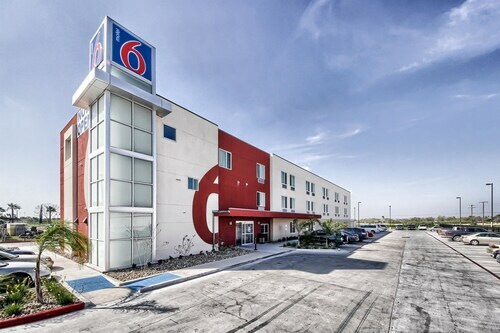 Located in the heart of Pharr, this hotel is within 3 mi (5 km) of Smitty's Juke Box Museum, Fireman's Park, and Pharr Convention Center. McAllen Medical Center and Rio Grande Regional Hospital are also within 3 mi (5 km). 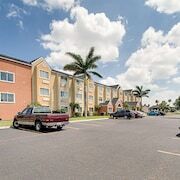 Situated in Mercedes, this hotel is 0.1 mi (0.1 km) from Rio Grande Valley Premium Outlets and within 6 mi (10 km) of Palms at Mid Valley and Knapp Medical Center. Estero Llano Grande State Park and Frontera Audubon Society are also within 9 mi (15 km). 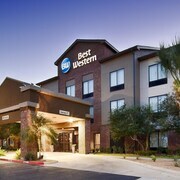 Situated in McAllen, this hotel is within 1 mi (2 km) of McAllen Medical Center and La Plaza Mall. McAllen Convention Center is 2.4 mi (3.9 km) away. 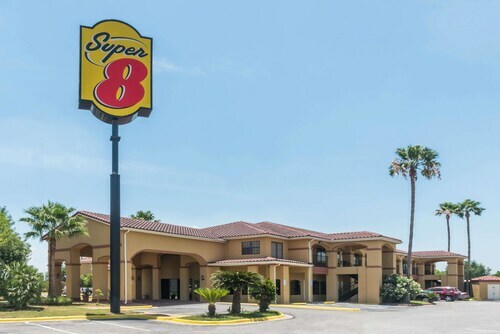 Located in the heart of Edinburg, this motel is within 3 mi (5 km) of Shoppes at Rio Grande, Los Lagos Golf Course, and Edinburg Scenic Wetlands. Edinburg Regional Medical Center and Hidalgo County Courthouse are also within 3 mi (5 km). How Much is a Hotel Room in McAllen? 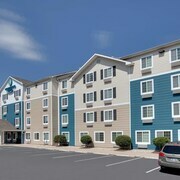 Hotels in McAllen start at $40 per night. Prices and availability subject to change. Additional terms may apply. Located in the Rio Grande Valley at the southernmost tip of Texas, McAllen is a perennially warm city with a population of just under 140,000. With activities to please nature-lovers, history buffs, and night owls alike, McAllen is just the Texan vacation you've been waiting for. 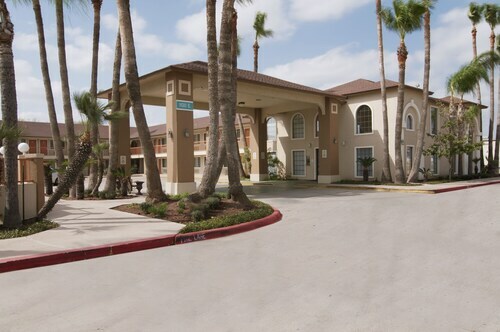 Take your pick of the various hotels in McAllen and plan your adventure today! Explore the rich local history via storytelling at the McAllen Heritage Center, or wander the International Museum of Art and Science, a Smithsonian Affiliate that hosts a variety of Latin-American art among other exciting exhibits. If it's adventure you seek, why not take a ride on the very last hand-operated ferry on the Rio Grande in Los Ebanos, just west of McAllen? For nature lovers, the McAllen Nature Center offers 20 acres of outdoor beauty, and Quinta Mazatlan, a 10,000 square foot mansion and events center, is surrounded by beautiful tropical gardens that attract a variety of birds. There are fantastic nature walks for those looking for some serene natural beauty. Or maybe you just want to relax and play a few holes on the Palm View Golf Course. 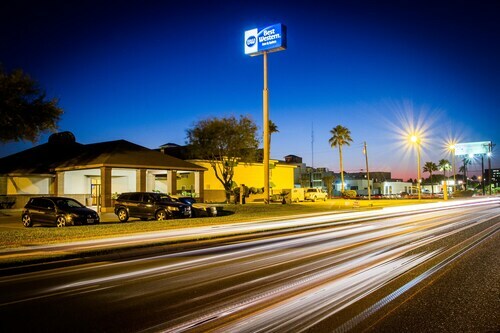 Whatever you're seeking, you're sure to find it not far from your choice of the many McAllen hotels. McAllen's Entertainment District is on 17th Street, where you can find just the nightlife experience you're searching for. From chill bars to rowdy dance floors, it's all here. Being close to the border, there's plenty of Mexican food to be found here, but a variety of other cuisines are also available to suit any taste, whether you're craving ethnic options or BBQ. Ready to go? 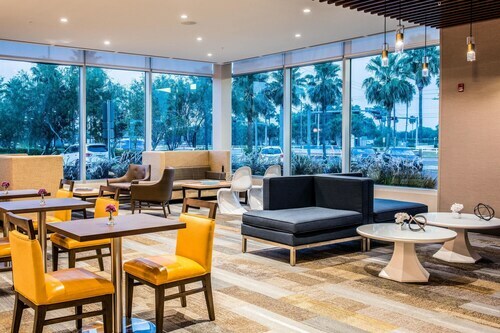 Travelocity can help you find the best in McAllen vacation packages, combining cheap hotels in McAllen with the most convenient flights to McAllen. this property was excellent. very clean, comfortable, contemporary and sleek, the pool was great. and the free breakfast buffet was unique and excellent. will be staying here again. very nice staff...simple but clean. would definetly return. Clean room, no issues there. Terrible coffee in the am though. Go to Taco pelanque just a short walk away, you wont be dissappointed. No quiet area to read paper in am. Overall ok, if you have kids pool not very big, just 2 chairs to sit on. If you want quiet do yourself a favor, go on top level because there were some loud folks below. Overall ok though. 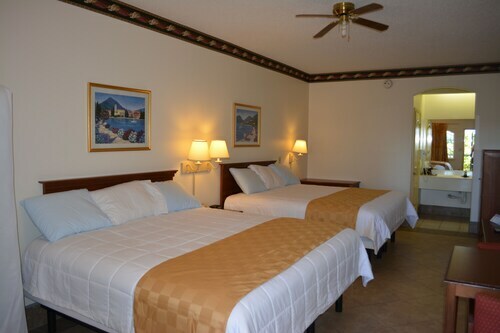 Very clean, looks like the rooms have been updated. Smells clean. Housekeeping helpful. A little noisy from the road out front. Would stay again every time!